August 5-7, 2016Johannesburg Expo Centre, South AfricaCNR Rand Show and Nasrec Roads, Nasrec，Johannesburgwww.attractionsafrica.netContact Us:Guangdong Grandeur International Exhibition GroupCompany Address: Room 401, # 4 Kehui 3rd Street, Kexue Avenue, Luogang District, Guangzhou China. Post Code:510320Contact Person: Tina ChengTel: +86-20-02890057Fax: +86-20-36657099Email: tinaafricaexpo@gmail.comWebsite: www.attractionsafrica.net http://www.gzhw.com (Company’s Official Website)Brief IntroAmusement & Attractions Africa, being the most important sector of Fun & Biz Africa, is the continent’s First & Only exhibition focusing game and amusement industry, and it is a showcase for introducing suppliers and manufacturers into African marketplace, exhibitors and project partners can grow their business on the African continent and connect with existing and potential customers easily and cost-effectively. About Fun & BizFun & Biz Africa is a brand new expo for Grandeur Exhibition Services in Africa focusing on urban leisure, tourism & modern business industries.Fun & Biz Africa mainly consists of 5 sectors which cover most part for industries of Amusement, Entertainment & Tourism, including:Game & Amusement Hotel &Recreation Sound & Light Commercial EquipmentTourism & Attractions Exhibitor ProfileGame & Amusement Africa showcases a comprehensive display of amusement equipments: Coin-operated machines, arcade games, lottery equipment, cranes, vending, photo booths, simulators, touch screens, park rides, kiddie rides, 3D and 4D shows, animatronics and amusement machine parts, etc.Visitor ProfileDealers and agents of game & amusement machinesReal estate developers, property management companiesHotel, Resort & Scenic spots developers and managersSports goods dealers, investors of entertainment industry Game center ownersScenic spots, resorts, museums, science & technology museums, aquariumsTheme parks, playgrounds, recreation centers, leisure clubs, clubs, shopping malls, supermarkets, hotelsFitness centers, kindergartens, sports bureaus, training bases, stadiumsOthers Post -Show ReviewOn the subject of “Meet, Trade, Explore”, the first session of Fun & Biz Africa Exhibition is organized by Guangdong Grandeur International Exhibition Group and Guangdong Provincial Association of Services Trade, associated by Hot Game Magazine and Interpark Magazine, also supported by many China’s professional media. It’s worth mentioning that Grandeur International Exhibition Group is the first private exhibition company which independently organizes the transnational exhibition abroad. Fun & Biz Expo is the Africa’s only one exhibition for Game & Amusement Industry, which was held successfully on August 13-15 in Johannesburg Expo Center with 61 exhibitors, accounting for an area of 5000sqm. Post-Show FiguresThe exhibition received a number of China’s 32 excellent Amusement enterprises’ support, and approximately 50 percent of the total exhibition area is taken up by South Africa’s enterprises, and over 90 percent domestic exhibitors displayed their physical products. Fun & Biz Africa’s international exhibitors are from all over the world, including UK, USA, Argentina, Spain, Italy, India and so on. Professional visitors’ percentage is over 75 percent in three day’s exhibition period, many of which are operating representatives from South Africa’s enormous amusement park and chain family entertainment center, such as Gold Reef City owned by Tsogo Sun Group, Cape Town’s only theme park Ratanga Junction, Lion Park Amusement, The Fun Company, The Magic Company, Happy Land, Fun Fair, Dinosalive, etc. Why ExhibitParticipating in this Exhibition allow your company to catch the potential of South Africa and surrounding countries. You can not expect thousands of importers to spend time and money to find you, You must come to Africa and let them be aware of you.The most important thing is the “Trust” issue, you can not succeed this over Skype or email without face to face contact. In addition to South Africa Importers, Importers in surrounding countries and even from Middle East, Exhibit in South African, saving trade cost of you and your clients.Booth FeeDeluxe Standard Booth: CNY ¥25,800 or USD $ 4200 (3m X 3m) Price included: Stand Construction, carpeting, 1 plug point, 2 spot lights, one table, 4 chairs, 1 waste bin,1 front desk & 1 bars tool, Badges(corner stands will have two open sides. )Space Only: CNY ¥2,580/Sq.m or USD $ 420/Sq.m (Min. Space:36 Sq.m) Price included: distribution board installation, BadgesCan you afford being not to participate in it? Organizer IntroFound in 2002, Guangzhou Grandeur Exhibition Services has become a professional trade show and conference organizer in mainland China, organizing over 30 trade shows each year.The difference between other exhibition service companies will be the "China Export" featured trade shows, we are specialized in this field for long time since 2002 and the quality of overseas buyer will be the core value to our client due to our event type. 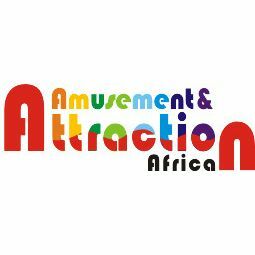 Più info da Amusement & Attractions Exhibition Africa 2016?